The Southampton City Art Gallery focuses on western art including paintings, sculpture, drawings, photography and film. Its 5,300 piece permanent collection includes works dating back to the Renaissance but is particularly strong in modern and contemporary British painting. In addition to its permanent collection, the Gallery hosts visiting temporary exhibitions. In 1911, the will of Robert Chipperfield, a Southampton councillor, justice of the peace and pharmacist, established a trust for the purchase of art for the city of Southampton. To ensure quality, it specified that works could only be purchased in consoltation with the Director of the National Gallery. A second trust for the purchase of paintings was established by Frederick William Smith, also a Southpton Councillor, in 1925. The Gallery moved into its present home in the Civic Centre Building. An impressive between the wars 20th century building, it was designed by architect E. Berry Webber, in 1939. The building was damaged in the heavy bombing of Southampton during World War II and was closed until 1946. Today, the Gallery shares the building with the public library. Southampton's permanent collection covers six centuries of western art and and holds Designated Outstanding status by the Arts Council England.. It has works by Gainsborough, Turner, Van Dyck, Rodin, Degas, Monet, Sisley, Boudin and Tissot to name a few of the artists represented. A feature is the series of paintings by Edward Burne-Jones depicting the story of the ancient Greek hero Perseus. The Gallery is also noted for its modern and contemporary British works. It has Post-Impressionist works by the Camden Town Group, surrealist works, and abstract works by artists such as Ben Nicholson. Its growing collection of post-1970s art includes works by several Turner Prize winners. The Gallery is located across from Watts Park. It is close to the popular Sea City Museum, the John Hansard Gallery and the Solent Showcase Gallery. 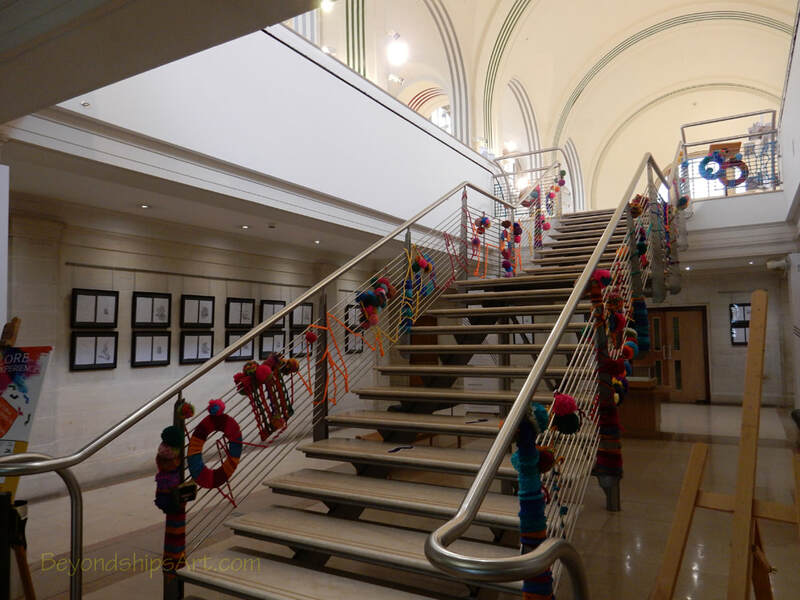 For information about visiting, see the Southampton City Art Gallery website.